Police are appealing for witnesses following a fatal road traffic collision in Potton on Friday (29 January). The incident involving a black Toyota MR2 and a silver Ford Focus took place at around 5.10pm on the B1040, near to Vicarage Farm on Gamlingay Road. The driver of the Toyota sadly died at the scene. 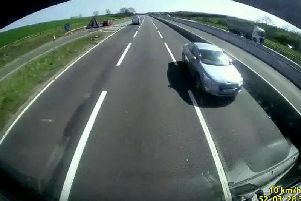 Anyone who witnessed the incident, or saw the Toyota prior to the incident, is asked to contact the Bedfordshire, Cambridgeshire and Hertfordshire Roads Policing Unit on 101.